The Ear, Nose, and Throat (ENT) Clinic at Samitivej Hospital provides diagnosis and treatment of all diseases, disorders and conditions related to the ears, nose, and throat. Our team of highly trained experts exemplifies the exceptional, JCI-accredited care for which our hospital is internationally renowned. All are fully capable of using the latest medical technologies and many contribute years of professional experience from abroad. 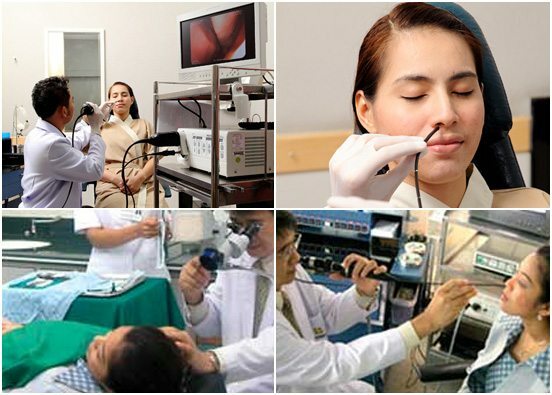 Through their expertise and the use of cutting-edge medical equipment, we can effectively diagnose and treat a wide array of problems, including hearing disorders, speech impairments, snoring, tumors, cancer and congenital diseases. Samitivej Srinakarin Hospital also offers a highly specialized team of world-class ENT doctors adept in the diagnosis and treatment of disorders, diseases and conditions within their field. We also offer a special Snoring Clinic designed to help patients with obstructive sleep apnea rest easy. This problem can greatly diminish quality of life for patients if left untreated. With the help our skilled physicians and the latest technology, we can make make a difference.